Mix the butter and vanilla and maple extracts first in a mixing bowl. Then slowly add the powdered sugar one cup at a time until incorporated on a low setting. You can now turn the speed of your mixer up to a high level to get a more whipped frosting. Now taste your frosting in case you feel like it needs a tiny bit more rice milk, maple or vanilla etc. Then frost your cupcakes as you please and enjoy!! Preheat oven to 350 Degrees. In a large mixing bowl, add all dry ingredients and whisk. Zest your lemon and add to the bowl. Take a Pyrex measuring cup at least two cup size. Squeeze your half of a lemon into that measuring cup then fill up with Reverse osmosis water up to the 1 cup line and add to the dry mix. Then add oil, vanilla, and white vinegar. Mix well. Scoop into the lined cupcake tin using a level cupcake scooper (I love the one I have from Pampered Chef). Bake in the oven at 350 Degrees for 15-17 minutes depending on your altitude. Once cooled, ice with a lemon icing. In a kitchen aide mixer; add butter, vanilla, lemon juice, and powdered sugar and whip until well incorporated and fluffy. Taste and adjust if needed. 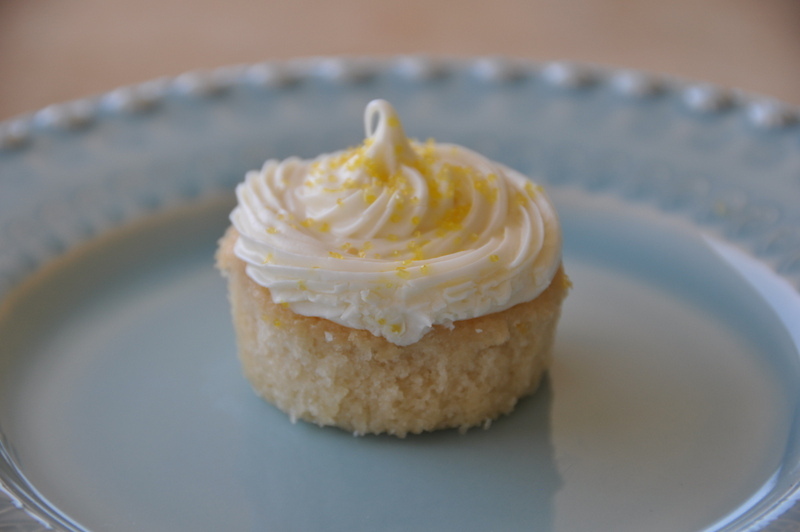 Decorate as desired with a fancy tip and sprinkles or lemon wedges as seen above. Enjoy! 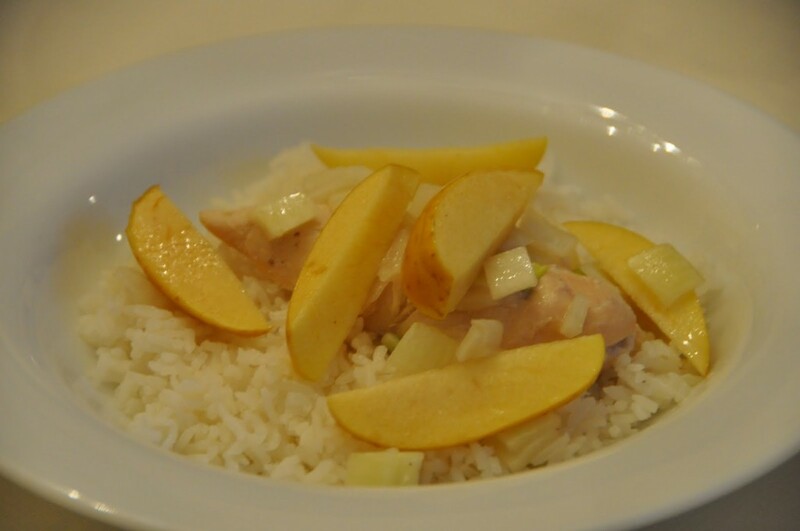 To begin wash your potatoes cut in half and place on the bottom of your crock pot. Next, peel your carrots and cut off both ends then cut into thirds and place in the crock. Next, peel your onions cut both end off then cut into three slices and turn onto bottom and cut again into quarters and place in crock. Sprinkle slat, Pepper and Thyme on veggies and leave there. Take out a large skillet and add your 2 Tbsp of olive oil and spread around using a paper towel. Turn onto med-high heat. Take out your chuck roast and place on a plate. Sprinkle your roast with salt pepper, thyme and powdered garlic then flip over and do same to the other side. Once the pan gets hot add your seasoned roast to sear 2-3 mins per side. Add your roast to your crock pot already filled with your seasoned veggies. Add the quartered mushrooms around the roast. 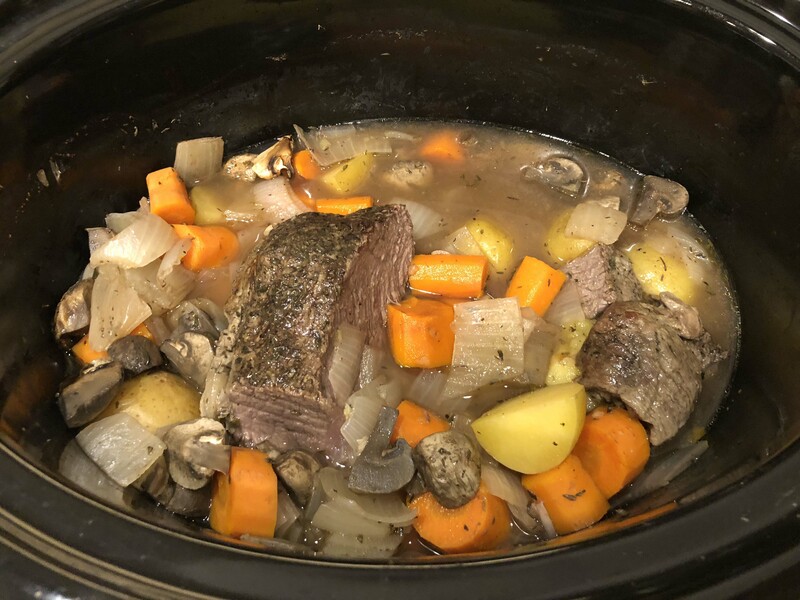 Sprinkle salt, pepper and thyme lightly again and gently pour your water down one side and then gently pour you broths over meat and veggies and lid and set a timer for 6 or 8 hours. Preheat your oven to 350 degrees. In your mixer cream your sugars and your butter substitute. While the mixer is creaming take out a separate bowl and combine the following dry ingredients: Flour, Cinnamon, baking soda, and salt and set aside. Now add your vanilla to the mixer still whipping and either make you egg replacement in a separate small bowl or grab your applesauce and add to the mixer. 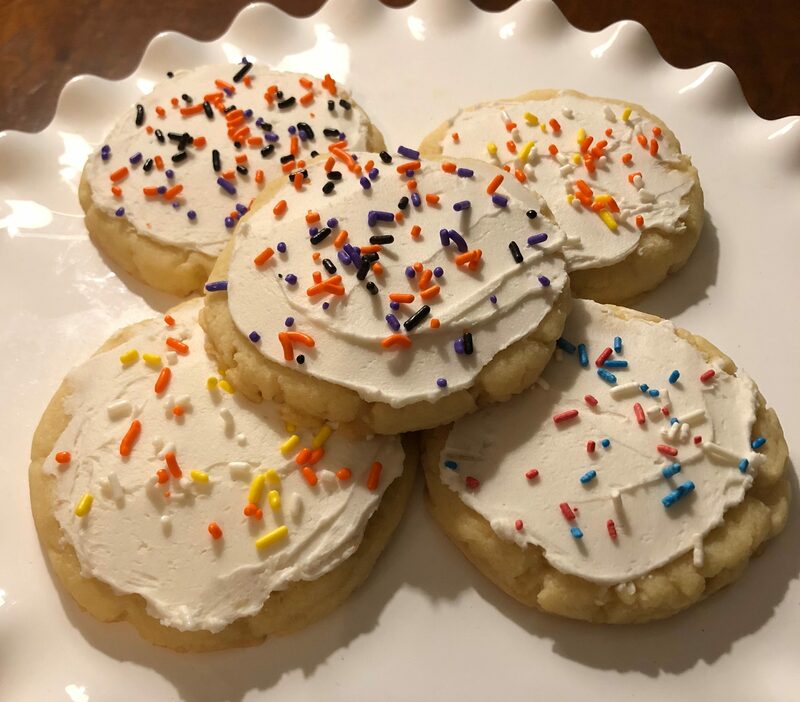 Slow down your mixer speed and add small batches of your dry mixture like 1/4 cup at a time scraping the sides with a spatula to ensure all ingredients are in fact well combined. Then add in your oats. 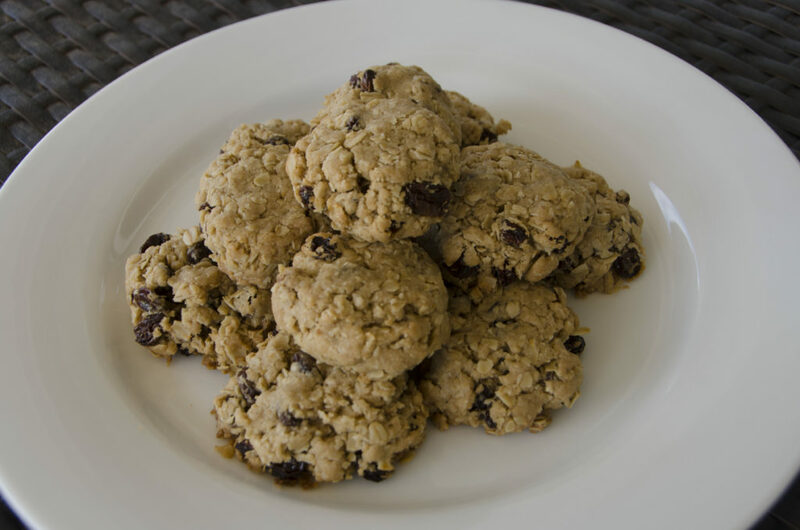 Then add in your Raisins or mini Enjoy Life Chocolate Chips- allergy free. Once combined scoop out onto cookie sheets keeping them at least 1 inch-2 inches apart. Bake at 350 degrees for 10-12 minutes then let cool on sheets for 5 minutes before moving them to sir tight cookie storage or to be directly eaten. Enjoy! ur dry ingredients: flour, salt, baking soda and baking powder and whisk then add to the mixer in small 1/2 cup scoops until well blended. Then take out your baking sheet and add your Silpat topper. Then scoop cookie dough in balls onto Silpat about 2″ apart. Take a glass glass and flatten out scoops. Bake for 7-11 mins. Closer to 11 in high altitudes. Let cool for 30 mins if possible before icing and adding sprinkles etc. Enjoy! Preheat oven to 350 degrees. Line 24-30 cupcake tin with liners and set aside. In one bowl sift flour and salt together and set aside. In your standing mixer whip the sugar and butter together until fluffy (3mins). In a smaller bowl whip together your EnerG egg replacer and water and whisk until well blended! Then add in your “eggs” to your mixer still mixing at medium speed. Next mix in your vanilla and zest lemon right into mixer. Then add in 1/3 of your flour mixture. Add half of your milk amount, then add 1/3 flour again. Then add your lemon juice. Then add in the last 1/3 of the four mixture followed by the last half of your rice milk. mix until just combined and scrape your mixing bowl to be certain it was all incorporated. Finally, using a level cupcake scooper, scoop into each cupcake tin evenly. Bake at 350 degrees for 15 mins. Take them out and check the center by inserting a toothpick. If it comes out quickly easily and most importantly- clean, then they are done.. if not, let them bake an additional 2 minutes until they are. Let cool then you can frost them with regular icing or make a simple lemon glaze which I have a recipe for here. Mix all ingredients in standing mixer leaving rice milk for last and add slowly until you hit the consistency that you like. Only put on fully cooled cupcakes and chill for a couple minutes and it will set. The photo is just regular vanilla frosting, but I also made some with the glaze- they went so fast I couldn’t get a pic! 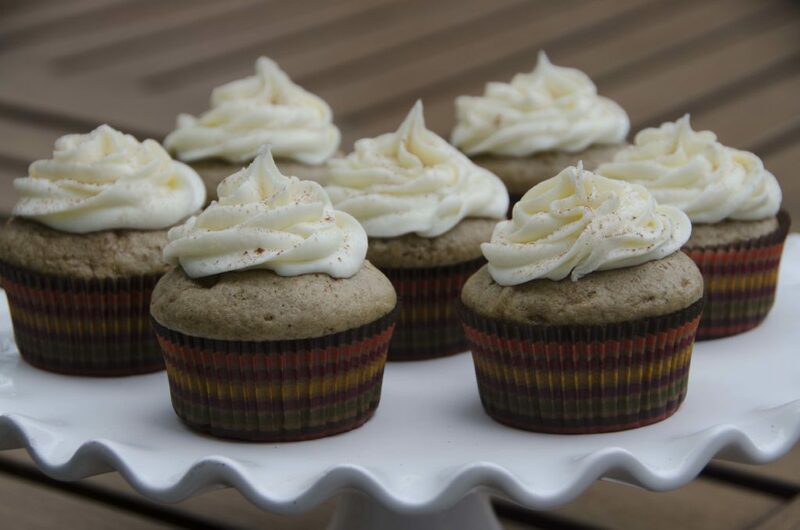 These are amazing little cupcakes and taste fantastic gluten free I highly recommend King Arthur Gluten Free all purpose flour for this recipe. It works wonders!! Enjoy!! Preheat oven to 350 degrees. In a large mixing bowl combine dry ingredients and whisk. Once blended set aside. Using a tall clear measuring cup fill up your water then measure out your oil, vanilla and white vinegar and add to your water. Then add all wet ingredients to your dry ingredients and mix until blended. Scoop out your batter into pre lined cupcake baking pan. Makes 12 even cupcakes. To achieve even level cupcakes use a cupcake scooper. 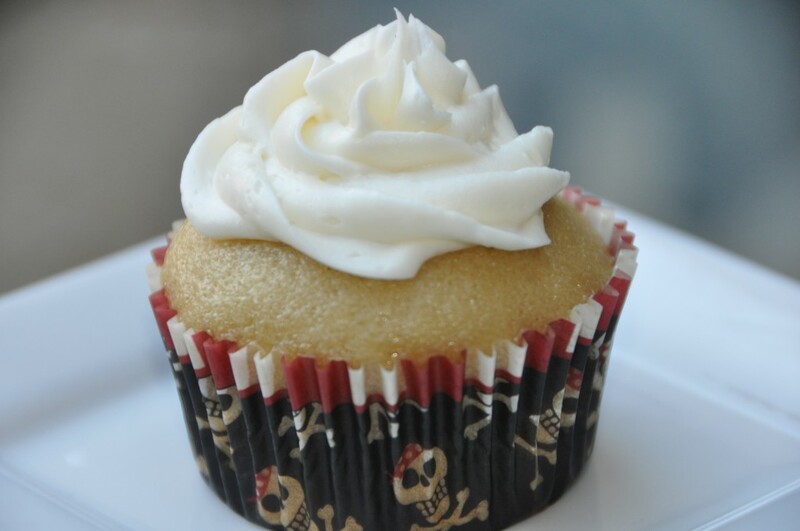 Bake at 350 degrees for 15 minutes or until your toothpick comes out clean once inserted into the center of a cupcake. Frost and Enjoy!! Preheat oven to 400 degrees. In mixer cream the butter and sugar until white and fluffy. Then add in your already whisked egg replacer and your vanilla and blend. In a separate bowl mix together your flour, baking powder and salt. Add this dry mixture one cup at a time to your wet ingredients already in your mixer while stirring on low. Knead in small amount oI food coloring if you want it tinted. Do not chill dough. Divide dough into two balls. On a floured surface, roll out dough to about 1/8 inch thick or just before it cracks apart. 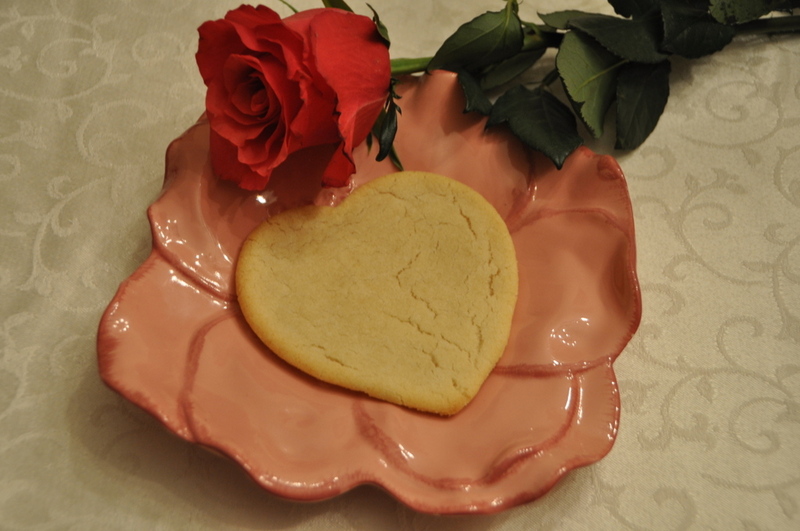 Dip cookie cutter into flour each time before using. use a floured spatula to transfer to baking sheet then bake at 400 for 6-7 minutes. Makes about 2 dozen depending on your cookie cutter size. Preheat your convection oven to 350 Degrees. In a large bowl add your dry ingredients first: flour, baking soda, cocoa, sugar, and salt and blend well. Then add in your wet ingredients: Vanilla, water, oil and vinegar and blend very well. Add in your Creme De Menthe oil/ extract last to taste, i usually use about 1/8 tsp. Pour runny batter into your prelined cupcake baking pan up to about 2/3 full each. Bake on 350 degrees for about 15 minutes. Check them using a toothpick inserted into the center… if it comes out clean then they are done. Let completely cool before frosting them. In a seperate bowl add in your powdered sugar, cocoa, and butter substitute and blend using a mixer on low. Slowly add in the rice milk while blending with the mixer until smooth. Finally add in your vanilla and creme de menthe (to taste) and finish blending well. 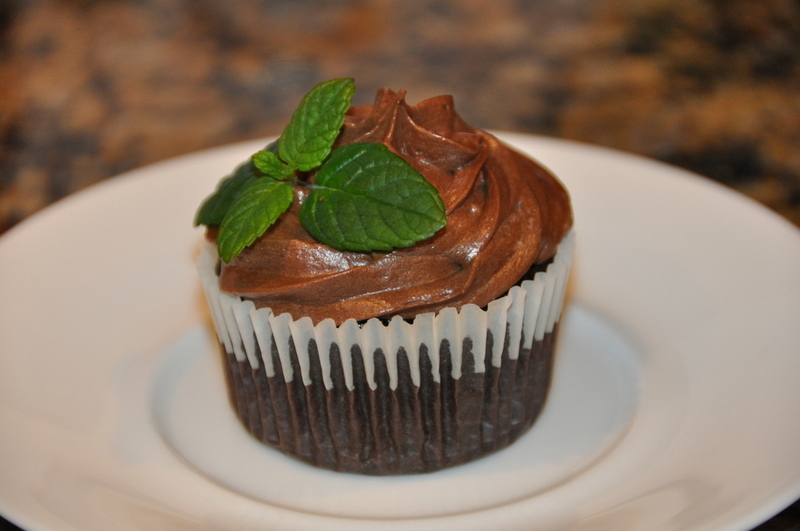 Using a disposable icing bag, place tip in the bottom of bag (trimmed open) and fill it with your frosting. 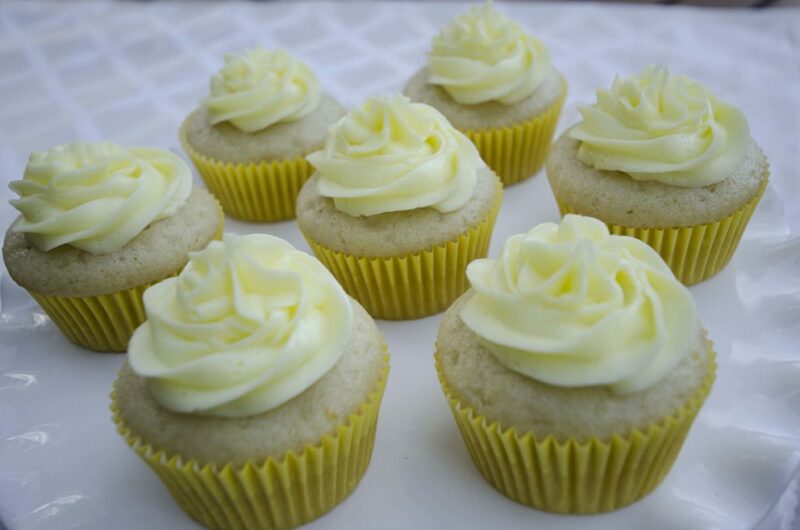 Twist the back of the icing bag and squeeze out your icing in a circular pattern on your cupcake. If you choose to add a fresh sprig of mint on the side as I did here you may for a decorative touch. Makes 24 cupcakes. Enjoy!